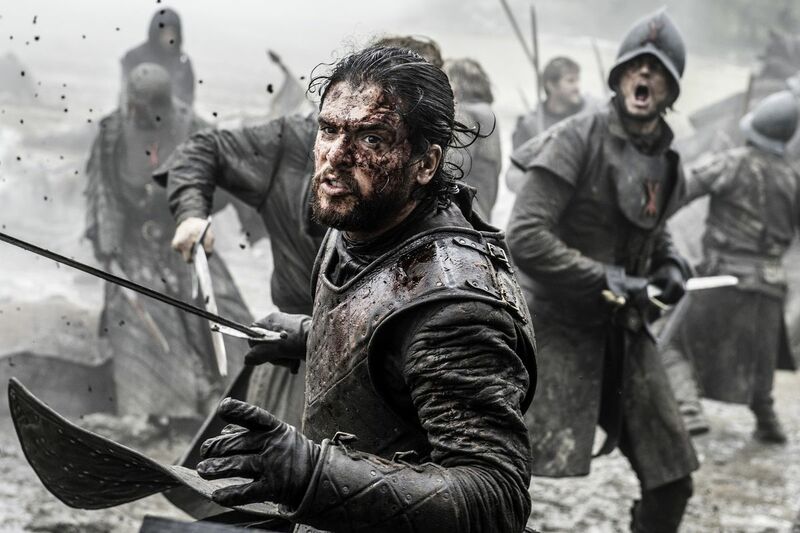 The series finale ends the reign of “Game of Thrones” over the television world. In less than a week, the grandest television show ever made will come to an end after eight years atop the Iron Throne of the television world. Calling a show the best ever made, or even one of the best, isn’t a smart thing to do, since shows can end on horrendously bad notes (see “Lost”). But “Game of Thrones” is the by far the greatest accomplishment in television history. It has completely changed the world of television by expanding horizons for the kinds of studios with the bank to get a project like it off the ground. Yes, creating the visual spectacles that are the Wall and Daenerys’s three dragons are accomplishments on their own, but it’s the accolades the show has won that will help ensure it stands the test of time. “Game of Thrones” has won 47 Primetime Emmy Awards while racking up a total of 132 nominations. In doing so, the show has blown by records set by shows like most Emmys in a year (“The West Wing”), most Emmys by a scripted show (“Frasier”) and most Emmys for a show (“Saturday Night Live”). Those awards have not been restricted to the kind of technical recognition that action-heavy shows tend to win, but have instead included acting awards for Peter Dinklage, writing awards for David Benioff and D. B. Weiss and directing awards for David Nutter and Miguel Sapochnik. Additionally, “Game of Thrones” has instigated a rush by major television production companies to find the next show capable of being a comparable cultural phenomenon. Finding the next “Game of Thrones” is a weird subject to begin with because nobody knows what it really means. Is it the next high-budget show of similar epic scope, such as HBO’s “Westworld”? Is it another TV series based off the works of a famous fantasy author, like Amazon’s “Lord of the Rings” prequel? Or is it one of the “Game of Thrones” spin-offs that HBO has prepared to run following the conclusion of their flagship series? Only time will tell, but for the moment, the ending of this titan of a show is about to create a power vacuum that TV studios will all try to lay claim to. Since the end of its fifth season, “Game of Thrones” has been running off the path set forth by George R.R. Martin’s novels. In that time, the show has done a fantastic job of wrapping up storylines begun in seasons four and five, while also launching new plot arcs that set the stage for the finale. Season seven begins with what amounts to a two-season arc to round out the show. It ended with the Targaryen and Stark armies prepping for a showdown with the Night King after the bringer of winter brought down the Wall with undead dragon Cersei focusing more on the impending battle royale for the Iron Throne than the cataclysmic threat posed by the Army of the Dead; and maybe most important, Jaime finally deserting his sister and lover as her reign as queen becomes too much for him to stomach. All of this sets the show up for a somewhat hard-to-predict ending, and that is what the show thrives on. By killing off Petyr Baelish in the season seven finale, the show looks to make season eight the bloodiest yet for a series already notorious for never particularly caring which characters are fan favorites. A few key characters could die by catching a blade between their armor, or everyone could perish in the storm as the Night King ends up sitting on the world’s most uncomfortable chair by the finale. This brings up the second big mystery. Who sits on the Iron Throne when the dust settles? Cersei occupies the seat now and is a member of two of the great families, Jon is technically the rightful air to the throne, Daenerys has been making a claim to it since season one and Gendry is a dark horse with a semi-legitimate claim. And though it doesn’t seem like they will make a play for it, Sansa and Tyrion are probably the two best rulers in the series. Anyone could die and anyone could win the Game of Thrones, and that chaos is what gives the show its potential. By crafting characters that so many people love or hate and then pitting them all directly and indirectly against each other, David Benioff and D. B. Weiss have set themselves up for success. I don’t even want to get into my predictions here or my hopefulness, but if they handle the final season like they did the last seven, then viewers have little to worry about. 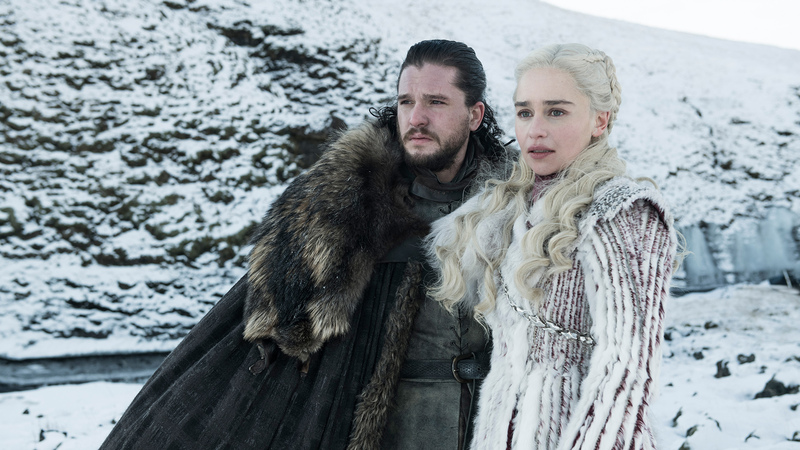 Kit Harrington as Jon Snow and Emilia Clarke as Daenerys Targaryen in a season eight promotion.